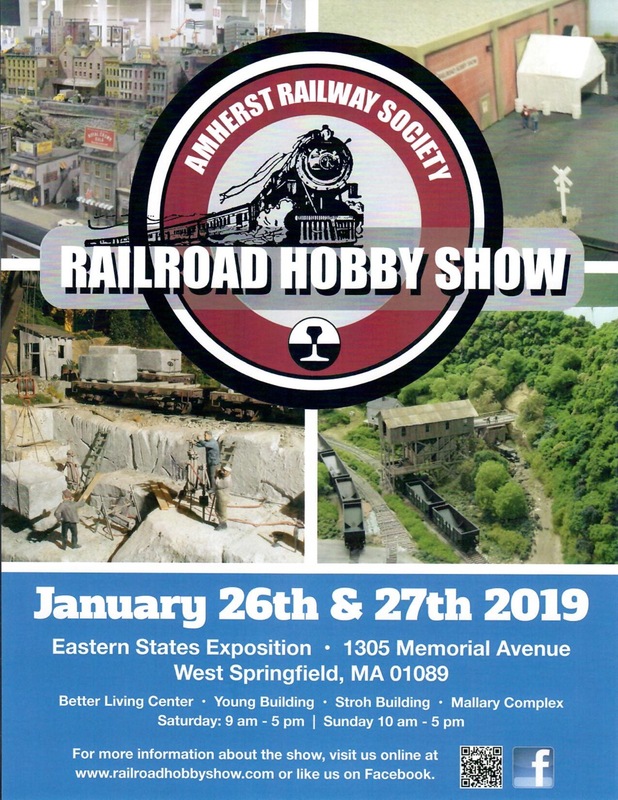 Jan. 26 and 27, 2019 - Amherst Railway Society Show. Held at the Eastern States Exposition Center in West Springfield, Massachusetts. Hours 9:00 A.M. to 5:00 P.M. on Saturday, and 10:00 A.M. to 5:00 P.M. Sunday. Once again the European Train Enthusiasts Club will bring their modular Digital layout to the Mallory Building at the show. You will find lots of European model trains for sale too, (LGB, Marklin, Roco, Arnold and others). As usual there will be plenty of U.S. prototype, (scale brass, Lionel, and every other manufacturer known). Layouts in N, H.O., O and I gauge, exceptional dioramas, live steam displays. This show is always the biggest and the best railroad show we attend. Come see why the 18,000 rail fans who were there for the show in 2018 will be back in 2019.